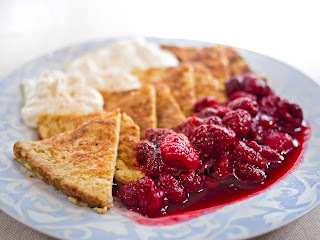 OK, so it is not a great as using thick sliced white bread for the French toasts, but considering the difference in calories and syns, I think it is worth it. 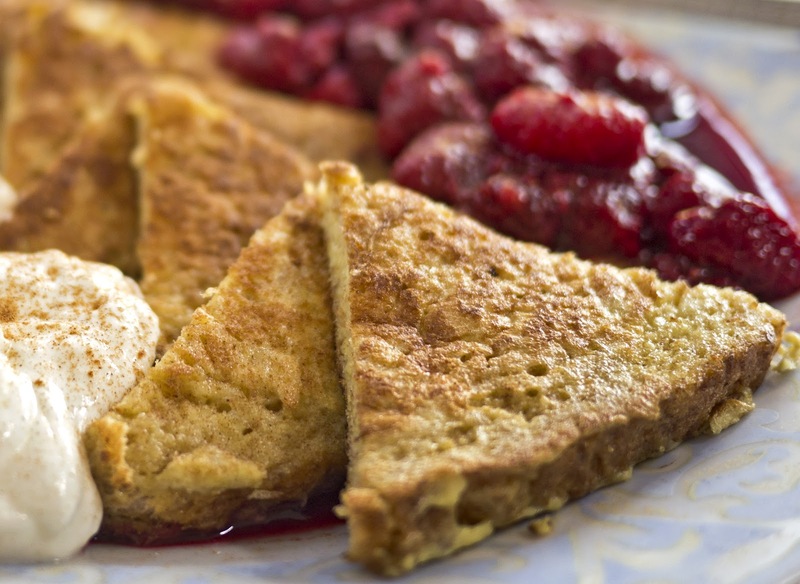 Whisk the eggs with sweetener to taste and add cinnamon if using. Soak the bread in the egg mixture and fry in a little Fry Light until nicely browned on both sides. 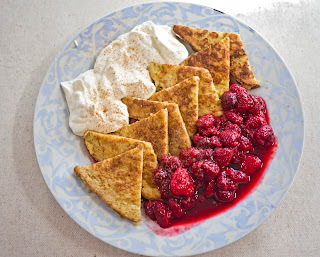 Serve with raspberries and yogurt.